We welcome newly hired staff to the firm | DiMarco, Abiusi & Pascarella CPAs, P.C. Brittney Thesier and Angela Wilbur join DiMarco, Abiusi & Pascarella CPA’s P.C. as staff accountants. Brittney Thesier holds a bachelor’s degree in accounting from Le Moyne College. Angela Wilbur holds master of business administration from Le Moyne College. 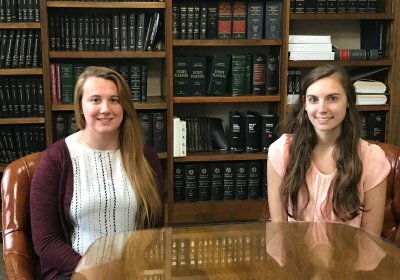 Both Thesier and Wilbur completed internships at DiMarco. Thesier works in on commercial real estate, individual, entity and trust taxation while Wilbur works in residential real estate audits and agreed-upon procedures in addition to individual and entity taxation. Angela’s primary reasons for deciding to join the DiMarco team full time were the positive and outgoing team members, the relaxed learning environment, the ability to further her career while simultaneously challenging herself on a daily basis and the support and encouragement provided by the firm in the advancement of her career. Thesier resides in LaFayette and Wilbur in Liverpool.